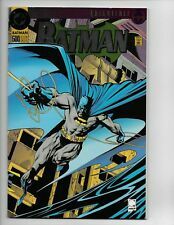 BATMAN #500 VF/NM (1993) 1st Print Standard Ed. THE ADVENTURES OF SUPERMAN #500 1993 Poly-bagged Collector’s Set Sealed! 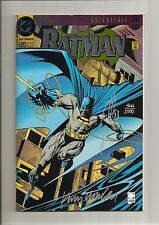 BATMAN #500 (10/93 DC) VF/NM (9.0) KNIGHTFALL PART 19 COLLECTOR'S EDITION! BANE! Adventures of Superman #500 [Collector's Set] (Jun 1993, DC)Never opened! 9 product ratings - Adventures of Superman #500 [Collector's Set] (Jun 1993, DC)Never opened! ADVENTURES OF SUPERMAN #500 FACTORY SEALED COLLECTOR'S SET DC 1993 NICE!! This page was last updated: 22-Apr 14:07. Number of bids and bid amounts may be slightly out of date. See each listing for international shipping options and costs.